,33, Yu. 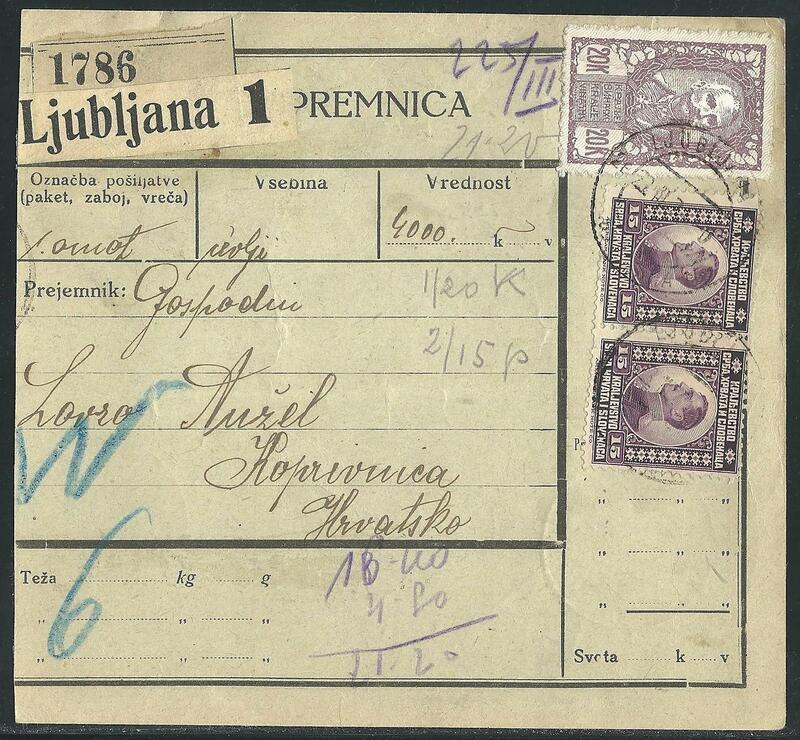 148 (2),Parcel card, franked 21,20 K., mixed franking of 20 K. stamp with Kingdom of Yugoslavia stamps, sent from Ljubljana (23. III. 21) to Koprivnica (26 MAR 921).